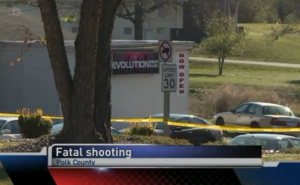 A fatal shooting that reportedly occurred outside Evolution nightclub in Des Moines claimed the life of a 20-year-old young man and left three others injured Sunday morning, November 8, 2015. According to WHOTV News, officers “responded to Evolution Nightclub, located at 4397 NW 6th Drive, on a report of a fight outside the club. When deputies arrived, they heard gunshots coming from an area around the club and located a man suffering from a gunshot wound.” Three other victims were also reportedly injured during the incident. Their current conditions have not been released. Patrons of nightclubs and bars have a right to be safe and secure while on the premises of the establishment that they are visiting. Given the history of police calls to the property as reported by the Des Moines Register, The Murray Law Firm questions the level of security offered by the nightclub and whether this tragedy may have been prevented. What age restrictions, if any, are in place at the nightclub and how are these enforced? What weapons screenings, if any, were in place at the time of the incident? Following reported previous incidents on or near the property, were any additional security precautions implemented by the nightclub owner or management? Generally, nightclub owners are required to protect all patrons legally on the premises from any foreseeable harm. Should the facts of this matter reveal that the nightclub failed to provide adequate security to protect those on its premises, the family of the young man who lost his life may elect to seek justice and pursue a legal claim for his wrongful death. Additional legal claims may also be filed by the other victims injured in the assault.